The space in which we offer our worship is critically important and can very much shape the ways in which we are spiritually formed. Worshiping in a large cathedral has the potential of enhancing the idea that God is Sovereign. Worshiping under the covering of trees up in the mountains may enhance the idea that God is Creator. Worshiping in a small traditional chapel may enhance the idea that God is intimate. Our setting, or space, can definitely shape the way we view God, thereby shaping the way in which we worship. The architecture of our churches as well as the way in which we set up our worship space says a lot about what we consider to be the most important element of worship. 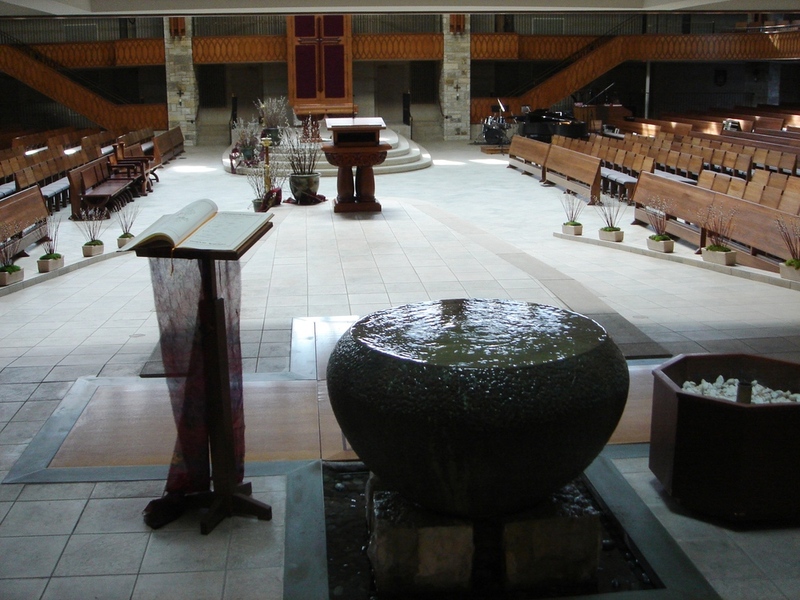 For instance, the church that has the baptistery front and center highly values baptism. The church that has the communion table front and center highly values the Eucharist. The church that places the pulpit front and center highly values the sermon. And the church that places the musical instruments at the center highly values musical worship. This is not to say that the church that places the baptistery in the center does not highly value the sermon or musical worship. The placement of elements in the worship space does however express what is considered the most valued element of worship. Theologians call this omnipresence, being everywhere at once. And though God is omnipresent, the Bible also teaches that God is present in a special way in certain locations. We see this to be true throughout Scripture as followers of God built altars in special places of worship. Later, the tabernacle replaced the altar as the primary location where God revealed His presence to His people. Sacred space is critical in worship but it is not mandatory. We remember that Jesus shattered the preconceived what, where, when and how of worship as he talked with the woman at the well. It is not the place that makes worship it is He whom we worship. Yet God understands that as human beings, our surroundings shape us and within our worship experience, can either enhance or detract. Thus, God shows that sacred space is valuable as He gives detailed directions for the building of the worship space known as the tabernacle. When reading the book of Exodus, one cannot help but see the importance of sacred space. Of the three important topics of the entire book – the other two being the Exodus and the law – the vast majority of the book deals with the tabernacle. Thus, we see that sacred space is an important aspect in our spiritual formation as we worship God.